Good music, fellowship, and … just accordions! 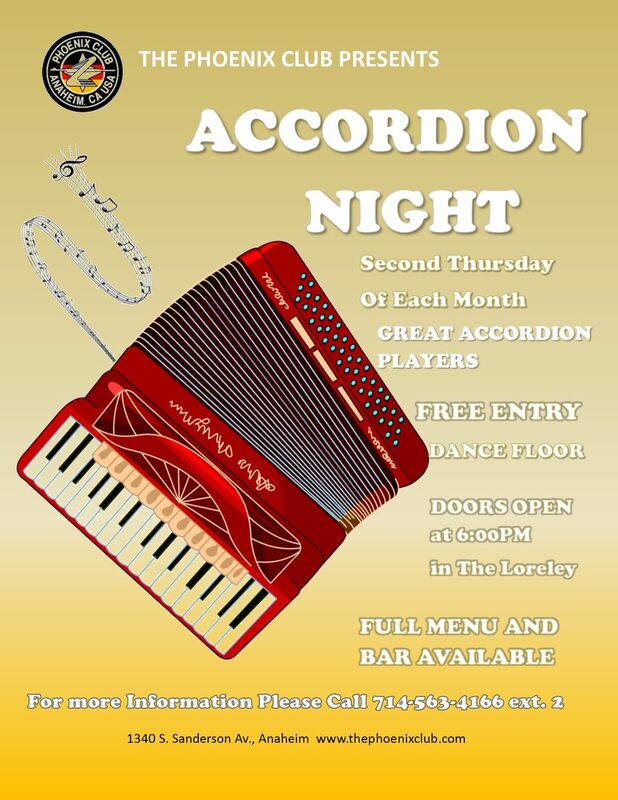 Accordion and button box accordion players meet on every 2nd Thursday of the month, from 7pm – 10pm. Show up for this fun night of pure accordion music of all types. You never know who will show up for this accordion jam session. 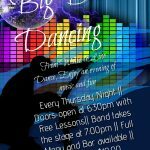 This will be held in the Loreley room, so come for dinner and a night of dancing! Open to the public. All guests are welcome. Free entry, full menu and bar available. Doors open at 6:00pm.